Now with applications like WhatsApp at their disposal, parties are using them as tools to communicate with the students in various departments and pass on instructions. 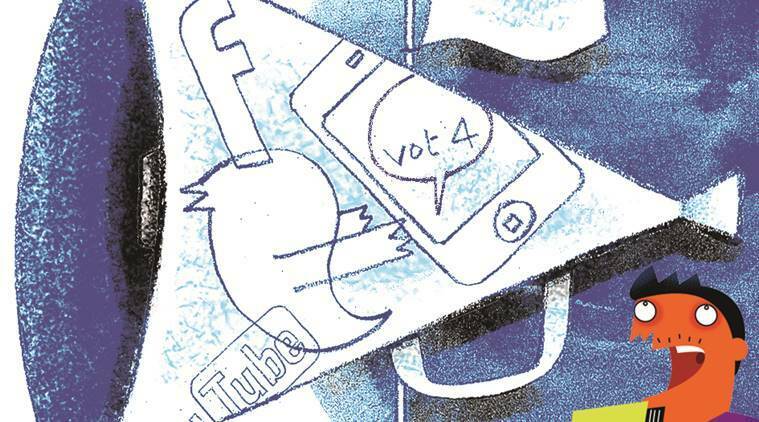 The social media has turned out be a major tool for the student organisations to woo supporters from various departments ahead of the Panjab University elections. A month ahead of the polls, various student organisations have geared up to launch their election campaign. “The campus is so huge that it is not possible to cover all departments by walking down from one department to other. As now almost all students have smart phones, the best mode for campaigning is social media”, said Kanwar Rana, campus in-charge, Akhil Bharatiya Vidyarthi Parishad. Earlier, the student leaders would hold meetings with party workers in the respective blocks to issue instructions. But now with applications like WhatsApp at their disposal, parties are using them as tools to communicate with the students in various departments and pass on instructions. The various parties have appointed separate 4-5 member teams dedicated to the social media campaigns of their respective parties. The teams mostly comprising girls chalk out new ideas for highlighting the work done by their parties on the campus for the student welfare. In a first, the Panjab University Students’ Union (PUSU) will launch their Youtube channel. “We are going to launch our Youtube channel in which we are going to upload our campaigning, protests, agendas and speeches highlighting the issues of the student welfare. Social networking helps a lot in reaching the masses which is very crucial for elections,” said Mannat Sandhu, who is coordinating the social media activities of PUSU. Whereas the National Students’ Union of India (NSUI), the exception in the case, has a team of over 70 students that are working on online promotions of the party activities. “We have a very strong team for social media. Their job is not only to promote the party work, but also act as a think tank giving suggestions for party manifesto,” an NSUI leader said. Instagram, Twitter and Facebook are also being used to score points and to highlight the shortcoming and mistakes of the other parties on their official party pages. Akhil Bharatiya Vidhyarthi Parishad (ABVP) has openly criticised the violent actions of the National Students’ Union of India (NSUI) on the Facebook.